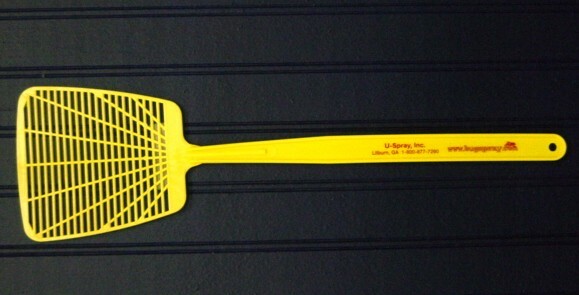 PRODUCT DESCRIPTION: This standard flyswatter is an effective way to eliminate houseflies and other flying insects indoors and outdoors without the use of chemicals or insecticides. 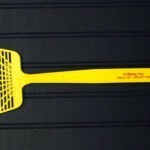 The flexible, bright yellow smacker makes it easy to locate when you have an annoying fly that needs eliminating. The venting on the smacker allows you to approach the fly and eliminate him before his keen sense of air pressure change warns him of your attack. The molded plastic handle forms a hole at the end for easy hanging and storage.